4th Infantry Division has two nicknames. The first, “Ivy,” is a play on words of the roman numeral “IV” which signifies the division’s numerical designation. Ivy leaves also symbolize tenacity and fidelity which is the basis of the division’s motto: “Steadfast and Loyal”. The second nickname, “Iron Horse,” has been recently adopted to indicate the speed and power of the division. Formed on December 10, 1917 and was part of the Allied Expeditionary Force during World War I where the division suffered over 11,000 casualties. 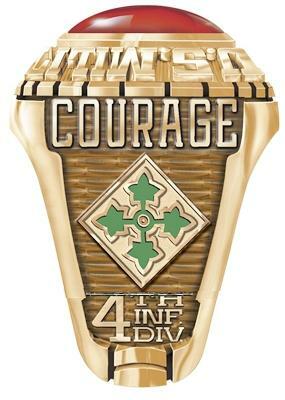 The 4th Infantry Division (Mechanized)is a combat division of the United States Army based at Fort Hood, Texas. The 4th Infantry Division is currently organized with four Brigade Combat Teams (BCT), a fires brigade, an aviation brigade, and various supporting units. Currently home based at Fort Hood, Texas, the “Ivy Division” is in the process of re-stationing to Fort Carson, Colorado, around unit deployments to Iraq. The 4th Infantry Division went into action in the Aisne-Marne campaign in July 1918, at which time its units were piece-mealed and attached to several French infantry divisions. Almost a month later, the Division was reunited for the final days of the campaign. During the next four months, the 4th I.D. saw action on the front lines and as reserves. Suffering over 11,500 casualties in the final drive for the Allied victory, the 4th Infantry Division was the only division to serve in both the French and British sectors of the front. The Fourth Division arrived in the UK in early 1944. It took part in the Normandy Invasion, with the 8th Infantry Regiment of the 4th Division was one of the first Allied units to hit the beaches at Normandy on D-day, June 6 1944. Relieving the isolated 82d Airborne Division at Ste. Mere Eglise, the 4th cleared the Cotentin peninsula and took part in the capture of Cherbourg on June 25. The Division returned to the United States in July 1945 and was stationed at Camp Butner North Carolina, preparing for deployment to the Pacific. After the war ended it was inactivated on March 5 1946. It was reactivated as a training division at Fort Ord California on July 15 1947. On October 1 1950, it was redesignated a combat division, training at Fort Benning, Georgia. In May 1951 it deployed to Germany as the first of four US divisions committed to the North Atlantic Treaty Organization during the early years of the Cold War. The division headquarters was at Frankfurt. After a five-year tour in Germany, the division redeployed to Fort Lewis, Washington in May 1956. The division took part in the Vietnam War and took part in 11 campaigns in 5 years. During this time, they were referred to as the “Flower Power Fourth”. After Vietnam the Division settled at Fort Carson, Colorado where it reorganized as a mechanized infantry division and remained at Carson for 25 years. It was during the Division’s time at Fort Carson that it had the unofficial nickname of the “Ironhorse” Division. 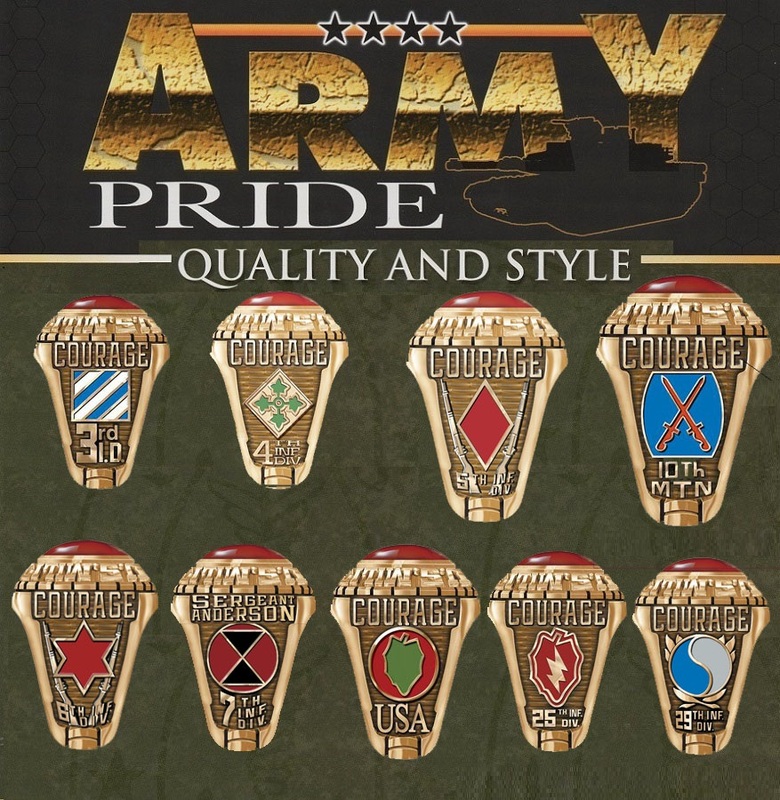 The 4th Infantry Division moved its colors to Fort Hood, Texas in December 1995 to become the Army’s first Digitized Division under the Force XXI program. In this program the Division was thoroughly involved in the training, testing, and evaluation of 72 initiatives to include the Division’s Capstone Exercise (DCX I) held at the National Training Center in Fort Irwin, California in April, 2001 and culminating in the DCX II held at Fort Hood in October 2001. Division elements have supported rotations to Bosnia and Kuwait as well as providing a Task Force to fight forest fires in Idaho in 2000. 4ID Soldiers supported the Winter Olympics in Utah. Since November 2001, the Division’s mission was the Division Ready Brigade-prepared to deploy at a moment’s notice to anywhere in the world. The 4th Infantry Division was alerted for the Iraq War on January 19, 2003. The Division’s mission was to lead an advance from Turkey into Northern Iraq. Unfortunately the Turkish government did not give their permission for U.S. Forces to use Turkey to attack Iraq, and the Ivy Division had to reroute to the war through Kuwait. Arriving after the invasion had started, the 4th Infantry Division entered Iraq as follow-on forces in April of 2003. The 4th ID was deployed in the northern area of the Sunni Triangle near Tikrit. The Ivy Division became a major part of occupation forces during the post-war period. In Operation Red Dawn, conducted on December 2003, the Iron Horse Division in coordination with a special unit captured the top High Value Target of Iraq, Saddam Hussein. Hussein was located about 10 miles south of Tikrit, cowering in a “spider hole.” His capture has been described by news media as the number one news story of 2003. The Division returned to the United States by April of 2004 with a most successful completion of their tour as part of Operation Iraqi Freedom I. The Division headquarters replaced the 3rd Infantry Division, which had been directing security operations as the headquarters for Multi-National Division – Baghdad in 2005. On January 7, 2006, MND-Baghdad also assumed responsibility for training Iraqi security forces and conducting security operations in the four provinces. Today, the 4th Infantry Division is the most lethal, modern and deployable heavy division in the world; it is prepared to conduct full-spectrum combat operations. The Iron Horse has earned twenty-one campaign streamers with sixteen 4th Infantry Division Soldiers presented the Congressional Medal of Honor. The Ivy Division began their third deployment to Iraq in late 2007 and is scheduled to return to the U.S. in 2009. The Division will continue its move to Fort Carson upon their return. 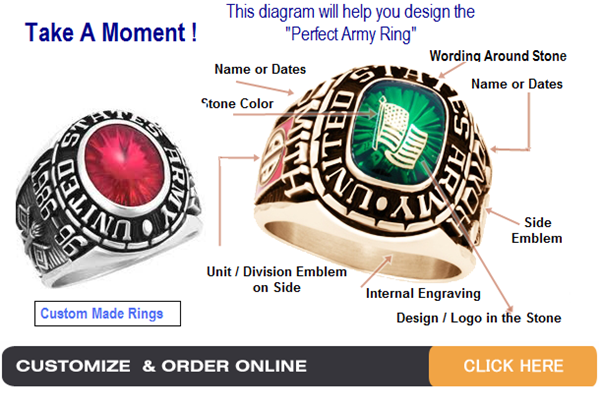 The soldiers of the 4th Infantry Division continue to serve their country and live up to their unit’s motto of “Steadfast and Loyal.” Custom design military rings online for all infantry units.